Cellairis products, 2 Piece Hardshell Case for Alcatel Evolve. 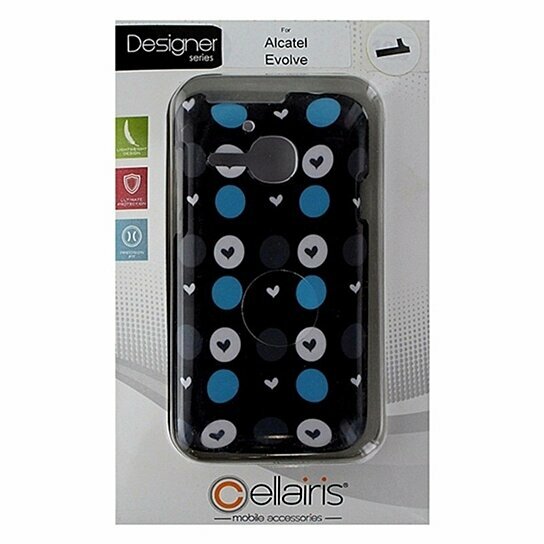 Glossy Black, Blue, Gray, and White Circles design with Little Hearts pattern. 2 Piece design covers front and back of device.